Two new rounds of my courses on Garden Design and Grow Your Own Food for Beginners start soon, and I’m also offering a new, one day course on Wildlife Gardening. I ran the last Garden Design course earlier this year and had great feedback on it (I even had a thank you present from the students!). All the courses feature a lot of group discussion and some practical tasks as well as useful tips and tricks to help particpants apply what they learn to their own plots. The Garden Design course takes students through a customised design process, prompting a fresh look at participants’ own gardens, giving them the opportunity to develop their own ideas in a systematic way and benefitting from ideas generated in the whole group. I support participants to draw up their own scale plan design for their garden and supply plenty of useful background information and links to helpful web sources as well as the opportunity to borrow from my own garden book library. 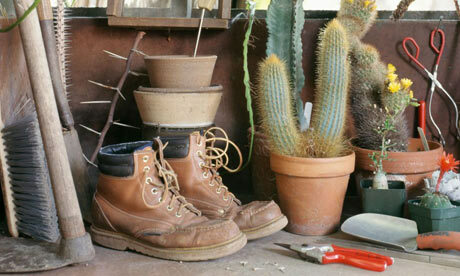 The course can also feature a visit to a well known garden to look at design ideas in practice. The ‘GYO’ course is aimed at food-growing beginners or novices and gets off to a flying start with making paper pots and sowing broad bean seeds. It also prompts students to look at what they want to eat/grow and how they might do this most effectively in their own plots – this can include growing in containers for those with little or no garden.The course includes a visit to Old School Garden to look at my own approach to food growing, and covers topics like soils and soil improvement, growing under glass, encouraging beneficial wildlife into your garden and how to effectively control pests and diseases. The one day Wildlife Gardening course, taking place at Gressenhall Farm and Workhouse Museum, makes use of the Wildlife Garden at the Museum and includes some practical work to help develop the wildlife -friendly features there as well as helping participants to focus on their own gardens and gardening practices. The aim is for them to develop their own action plans for the future. The courses are fast filling up but there are some places still available if you’re quick! Garden Design– 6 Monday evenings, 7pm-9pm at Reepham High School & College, commencing on 12th May. Grow Your Own Food for Beginners – 6 Wednesday evenings, 7pm-9pm at Reepham High School and College, commencing 14th May. Wildlife Gardening- Sunday 18th May, 10am-4pm at Gressenhall Farm and Workhouse Museum, near Dereham. PicPost: Greenroofs for the future? As urban spaces are growing, the desire to have a little bit of nature return to the living and working space is greater than ever. Living green walls help to escape the wasteland of concrete we find ourselves in, and counteract pollution to restore a natural balance to the local atmosphere. Invented by Stanley Hart White in 1938, living green walls (also called vertical gardens or eco-walls) are more than just climbing plants. It is sustainable architecture at its finest! With the expansion of cities everywhere, air pollution has increased; unknown to many people, toxins are not only outdoors on the streets filled with car fumes, but can build up indoors too thanks to air fresheners, cooking fumes and myriad other things. Plants filter these pollutants and improve air quality, whether that’s indoors or outdoors. Living green walls on the outside of buildings also help to reduce energy costs by cooling the building in summer and insulating it in winter. Damages to walls are minimised by regulating the temperature fluctuations and diverting rainwater from the wall. Plants have long been used to block high frequency sounds on roadsides, and living green walls are a new way of diminishing noise pollution in busy urban areas. Green walls also increase the property’s value by gaining LEED credits! This is an internationally recognised green building certification system, which rewards commercial buildings and home owners alike for developing certain green criteria. According to the climate of the location, carefully selected plants are put on structures that are either free-standing or attached to walls. These are irrigated by a drip-irrigation method, using recirculation systems to reduce water wastage. Each wall is individually designed for the specific project. Plants for the exterior differ from those you would use indoors. They are chosen according to climate zones, usually for a higher zone than the location’s climate to ensure survival. Plants that have a wide range of tolerances and are able to adapt to a new environment quickly are perfect for the green walls. If required, the wall can even feature a custom design, such as a logo crafted from carefully planted blooms in different colours. Plants grown on the wall are the cheaper option, but they will need a year before they are fully grown so if you want a stunning display immediately this isn’t your best option. Plants grown off-site and later inserted into the wall have their cost, as the nursery has to be paid plus fertilisers and day-to-day care. Maintenance is crucial for a long-lasting living green wall. As the technology is still relatively young, it is hard to tell how long the plants will survive. The hardware can last up to 25 years whereas the plants will only grow until their roots run out of space within the panels, so it’s wise to choose species that don’t grow very rapidly! Plants in a tray system have to be replaced every year. For more information about living green walls, check out The Ultimate Guide to Living Green Walls. Thanks to Gavin Harvey and Johann Heb for supplying this article. This ‘snippet on style’ focuses on gardening above ground – roof gardens (including ‘green roofs’), balconies and vertical gardens. Growing plants above ground has been going on for centuries: e.g. the ziggurats of ancient Mesopotamia and the Villa of the Mysteries in Roman Pompeii. controlling and harvesting rain water run off – where urban areas are increasingly hard – surfaced, roof gardens can delay peak run off and so help to prevent flooding, as well as retaining moisture for later use by the plants. Cultivating food on the rooftops of buildings is sometimes referred to as rooftop farming, and is usually done using special systems such as hydroponics, aeroponics/air-dynaponics or in containers. These systems can also help to reduce the stress on the roof that would otherwise have to carry a depth of soil over its whole surface. Sometimes as well as using the space on a roof, additional growing areas are added as ‘air bridges’ between buildings. A modern roof garden by Marigreen Ltd.
the altitude of any attic, etc. Roof gardens are likely to feature more and more in major cities – 80% of Singapore residents voted for more roof gardens in the City’s future plans. The containers/planters on a roof garden may be designed for a variety of functions and vary greatly in depth to satisfy aesthetic and recreational purposes. These planters can hold a range of ornamental plants: anything from trees, shrubs, vines, or an assortment of flowers. Where aesthetics and recreation are the priority roof gardens may not provide the environmental and energy benefits of a green roof. Once again you need to be aware of how much weight your balcony can take, so seek structural engineer or architect advice if you’re unsure. Balconies can be used for both ornamental or food plants, but it’s worth thinking about your layout before you start. To maximise growing space, suspend window boxes along the balcony edges, place soil-warming terracotta planters in the sunniest patches, and put lean-to shelves against the wall to accommodate extra pots. Here’s a video about setting up a balcony garden using permaculture principles. For those who live in small apartments with little space, ‘square foot gardening’, or (when even less space is available) vertical gardens or ‘living walls’ can be a solution. These use much less space than traditional gardening – square foot gardening is said to use 20% of the space of conventional rows and ten times more produce can be generated from vertical gardens. These also encourage environmentally responsible practices – eliminating tilling, reducing or eliminating pesticides, and weeding, and encouraging the recycling of wastes through composting. Some of the most familiar vertical gardens are called ‘living walls’ – a concept where low growing and small plants are placed into a matrix which is then fixed to a wall. Such designs can be immense in size, covering the entire sides of buildings. They are also increasingly being used inside building spaces, such as foyers and receptions, to create a contemporary and eco-friendly ambiance. There is a trend towards more living walls in people’s homes. This has led to many companies now providing products which create a vertical garden to liven up the side of a house or patio, and platforms of pots which can be planted with herbs and vegetables on a balcony. Some of my own articles feature the use of old pallets for vertical planters and these too can be considered as ‘living walls’ and are a useful addition to conventional ground level gardens as well as homes which lack much outside space. 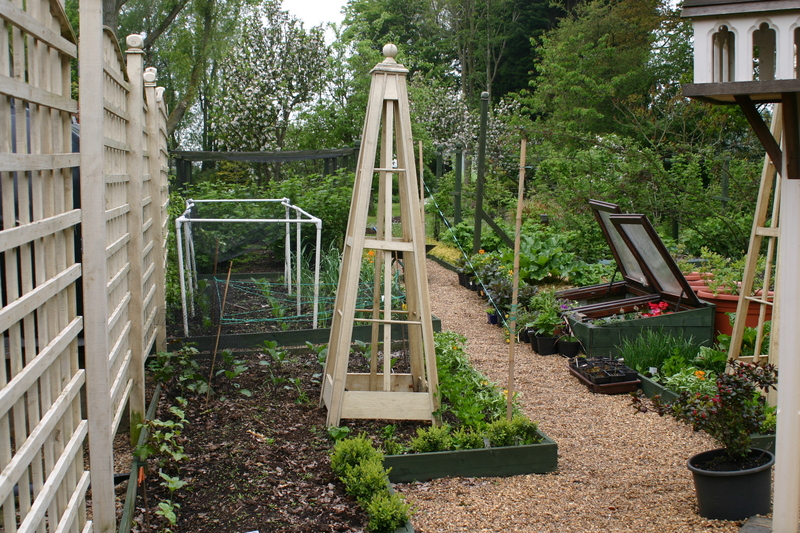 The Kitchen Garden in Old School Garden- my attempt to create something productive and also pleasant to look at. This week’s ‘snippet on style’ looks at Productive Gardens- those where the emphasis is on growing food. 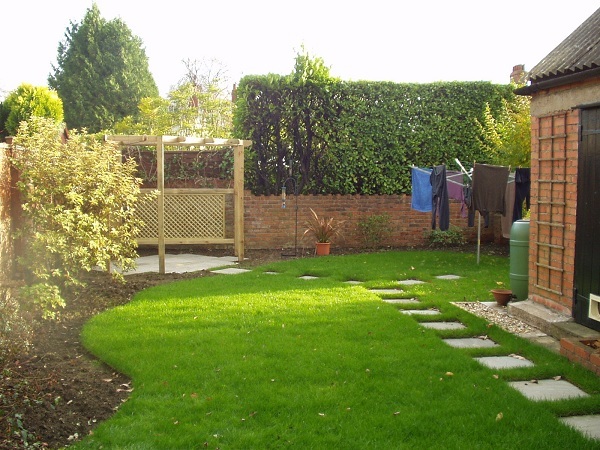 Raised beds enable a style of gardening which minimises the need for digging the plot, esepcially if large amounts of organic matter are added to the surface in the autumn and/or spring. They can be different heights too, so that for those with difficulty bending or in a wheelchair, the growing surface can be at a convenient level. Vertical planting- such as fan or espalier trained fruit bushes – can be an efficient way of maximising growing space in productive gardens, and they add visual interest too. Here’s an example of a productive garden shared between two neighbours.Communal food growing also takes place at larger scales, for whole neighbourhoods in shared beds or in long established ‘allotments’ where each tenant gardens their own plot. If you’re a keen cook and you have the space, you may want to create a special herb garden like this – or if not just find a sunny spot for a few fragrant favourites! Let me know what you think makes a Productive style garden, and if you have some pictures I’d love to see them! In this latest article about different garden styles I turn my attention to Country Gardens, trying to capture their essence in a few words and images. Let me know what you think makes a Country style garden, and if you have some pictures I’d love to see them! This is the fourth in a series of ‘snippets’ that try to capture the essence of a particular garden style. today, ‘modernist’ gardens – I prefer this term to ‘contemporary’ as it is less laden with connotations of what is deemed to be ‘fashionable’ – so a more neutral term, hopefully! Let me know what you think makes a Modernist style garden, and if you have some pictures I’d love to see them!